A grape flavored chocolate bar contains raisin and biscuit crunch. Whipped cream was plain and wasn't that sweet. 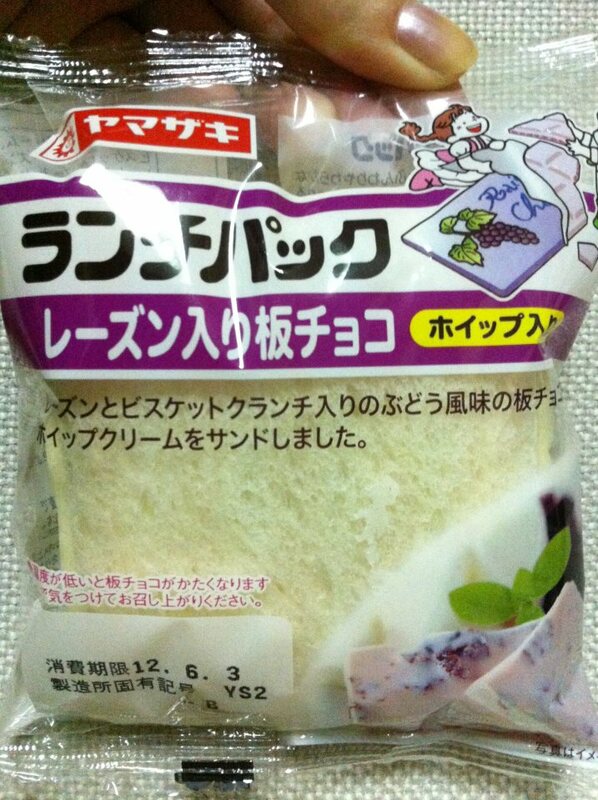 I couldn't taste raisin, but a strong artificial grape flavor came out. Somehow the fragrance was close to Welch's grape juice (I'm aware of that doesn't use artificial flavor).